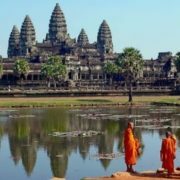 Kingdom of Cambodia is the Southeast Asian country which has long served as a battleground between various countries and political groups. 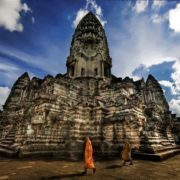 Cambodia is bordered by Laos, Thailand, and Vietnam. 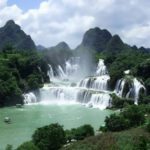 The country has a tropical climate with a rainy season and a dry season. 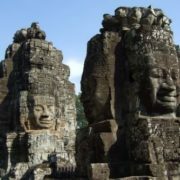 The Khmer ethnic group makes up about 85 percent of the population. 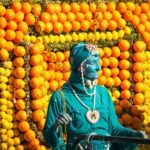 More than 80 percent of the population lives in rural areas. 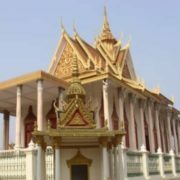 Cambodia’s main products are clothing and textiles, leather, foods, rubber goods, and logs. 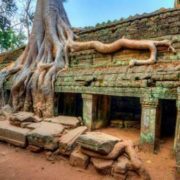 People have lived in what is now Cambodia for at least 6,000 years. 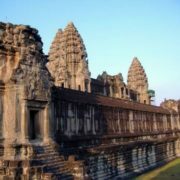 The most famous of Cambodia’s ancient kingdoms was the powerful Khmer Empire. 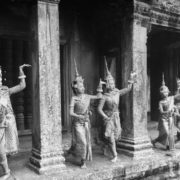 They constructed the famous temples of Angkor Wat in the 1100s. 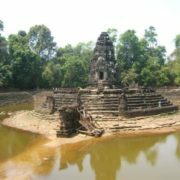 In the 1300s and 1400s Tai peoples invaded, and Cambodia lost much of its territory. 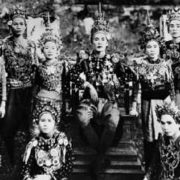 In the 1800s Thailand and Vietnam further divided the country. France took control of the region in the late 1800s. 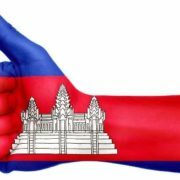 In 1953 France granted Cambodia its independence. 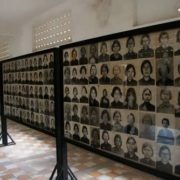 In 1975 a group of Communists known as the Khmer Rouge seized control of the country. 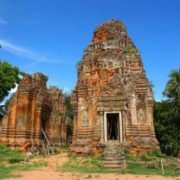 In 1978 Communist forces backed by Vietnam invaded Cambodia and toppled the Khmer Rouge government and changed the name of the country to Kampuchea. 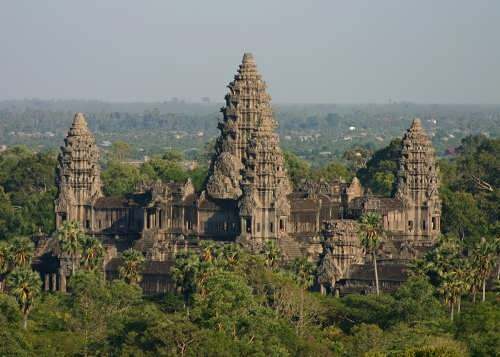 In 1993 a new Cambodian government banned the Khmer Rouge. 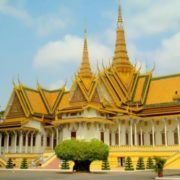 Phnom Penh is the capital of Cambodia. 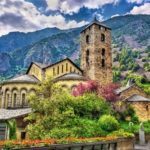 It is more than 500 years old. 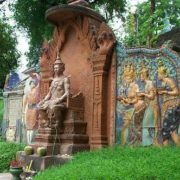 According to legend, a woman named Lady Penh was walking on a hill and found a bronze statue of the Buddha, the founder of the Buddhist religion. 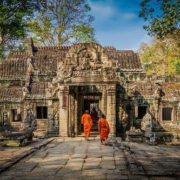 There she started the town of Phnom Penh, which was built around the Preah Morokot pagoda. 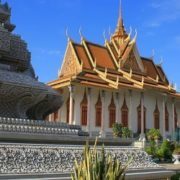 There are many museums in Phnom Penh. 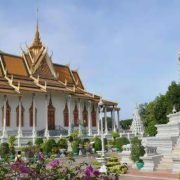 The National Museum has a fine collection of art by the Khmer people. 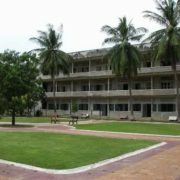 The Tuol Sleng Museum is devoted to the memory of the many Cambodians who were killed in the 1970s by Cambodia’s communist government. 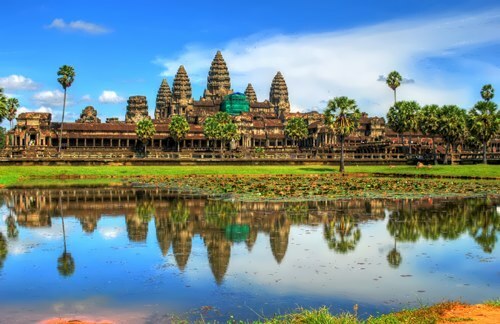 Angkor Wat is a Cambodia’s Treasured Temple. 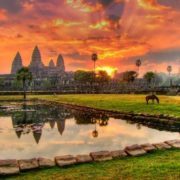 The word angkor means “capital,” and wat means “monastery.” It is the world’s largest religious structure. 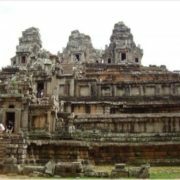 King Suryavarman II dedicated the temple to the three Hindu gods Brahma, Vishnu, and Shiva. 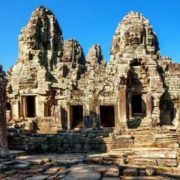 In 1992, UNESCO named the entire Angkor area a World Heritage site. 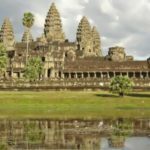 – Cambodia’s largest lake is the Tonle Sap, or Great Lake. – You can buy marijuana everywhere. – Growing rice is the most difficult and the most highly paid profession. A lot of rice is sold to China. 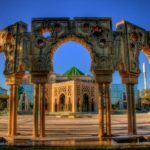 – If you are a tourist or a native English speaker you will be able to find a job as an English school teacher. 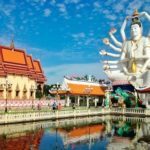 – Cambodian King speaks and writes fluent in 5 languages, including Russian. 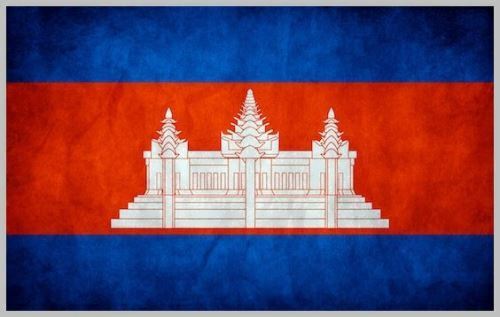 – Since 1863 the Cambodian flag has been changed 10 times. 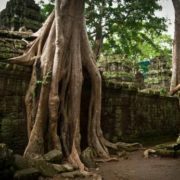 – At the end of the 90s Lara Kroft- Tomb Raider was filmed in Cambodia. 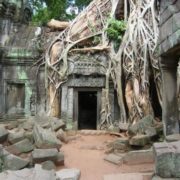 The main role was played by Angelina Jolie, the public saw the temple complex of Ta Prohm, and Jolie adopted her second foster child.